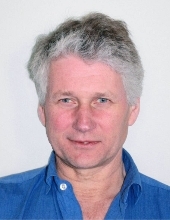 Dr Christer Larsson is Professor at the division of Systems and Synthetic Biology. He has a long standing interest in yeast physiology, regulation of metabolic pathways and the importance of energy- and redox status of yeast cells. The research is applied in industrial bioethanol production projects as well as metabolic engineering projects for developing the yeast S. cerevisiae into a cell factory for production of various fuels and chemicals. There might be more projects where Christer Larsson participates, but you have to be logged in as a Chalmers employee to see them.